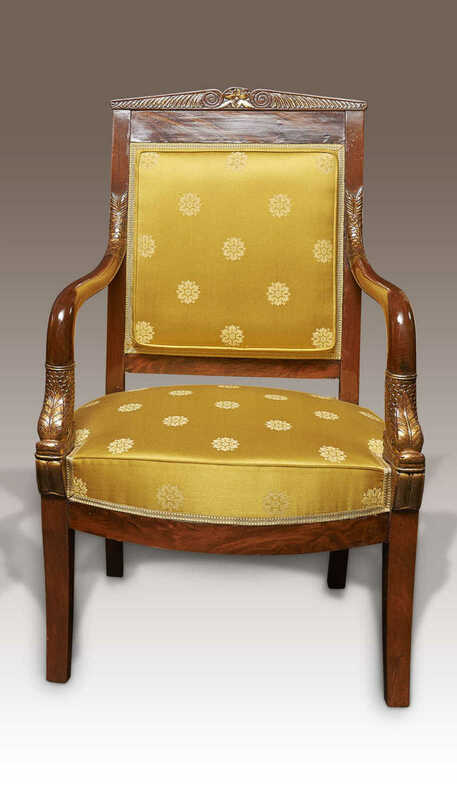 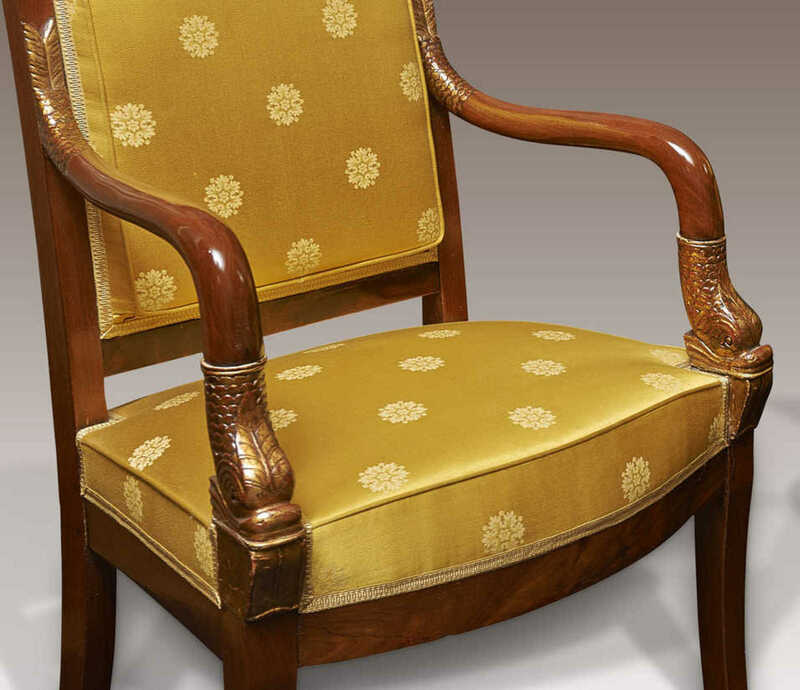 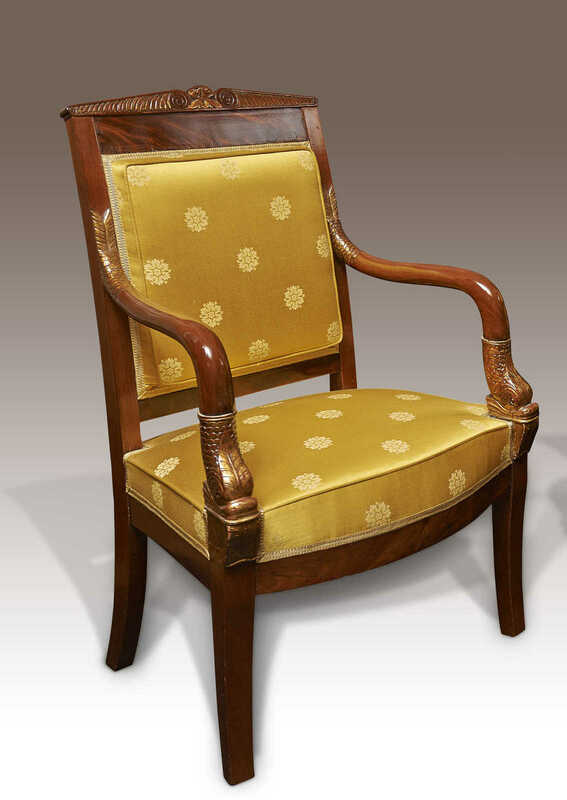 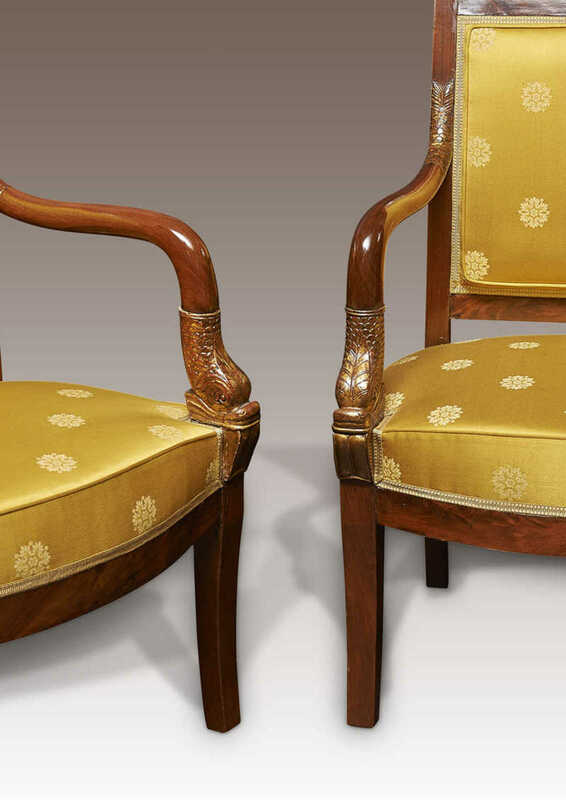 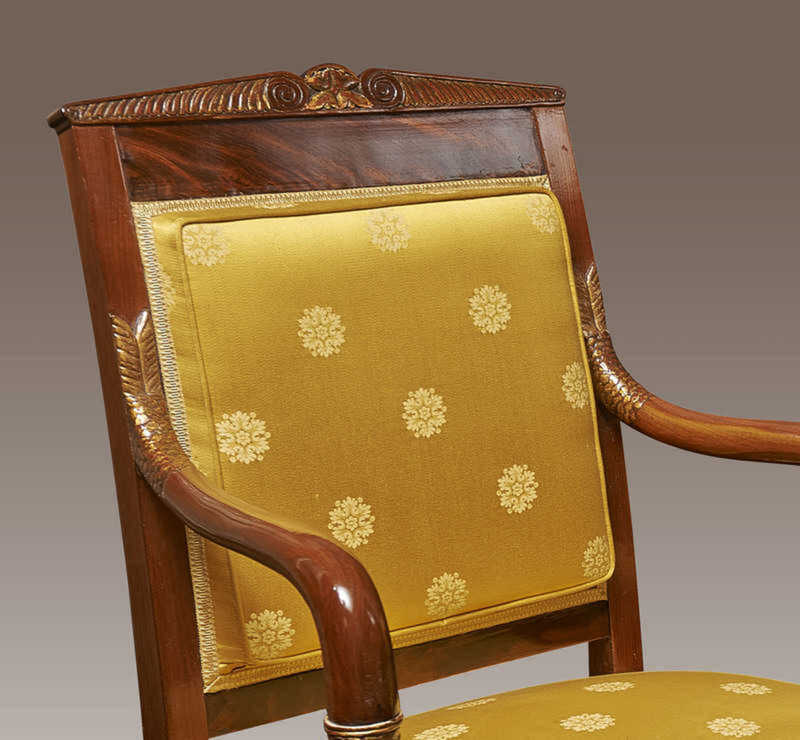 A pair of empire mahogany fauteuils, circa 1815-1820. 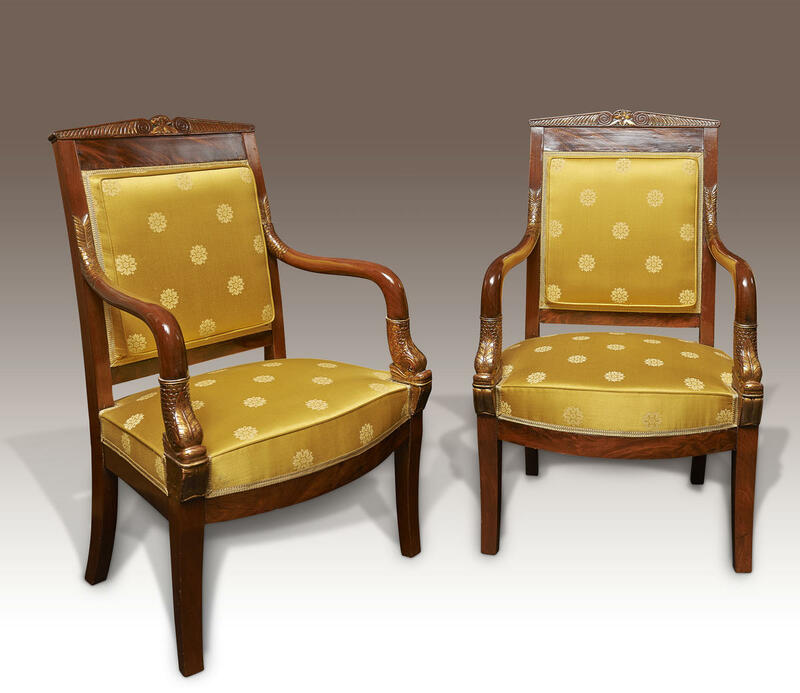 Each with rectangular upholstered back. 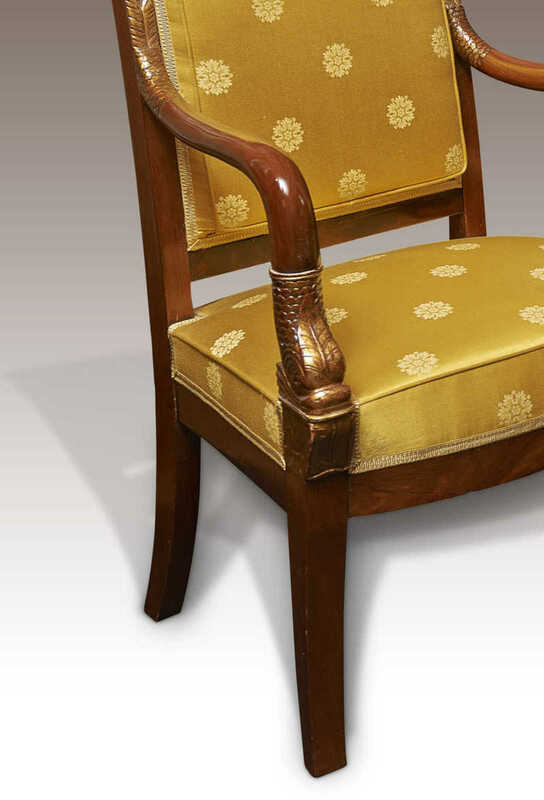 Arms with dolphin terminals continuing into sabre legs.